A world-class, championship Tom Lehman Signature Design carefully sculpted out of 420 acres of rolling St. Croix Valley hills. 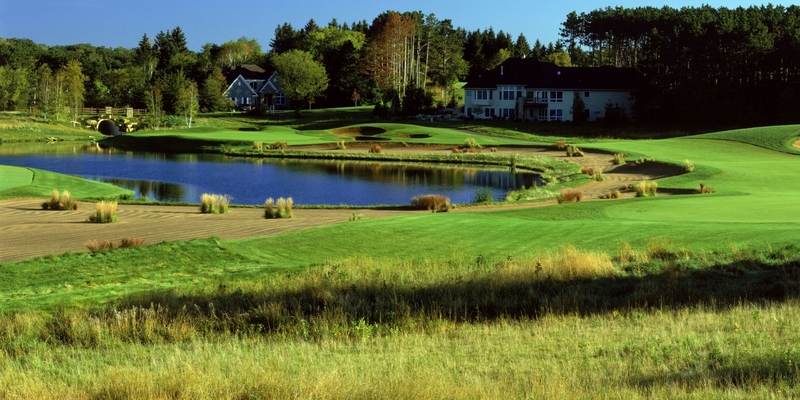 One of the finest public facilities in the Twin Cities area, Troy Burne is a must-play, with meticulous course conditioning and friendly, professional service. Located 5 miles south of I-94 on Highway F.
3 weeks in advance for up to 12 players. Season Passes, Corporate Packages & Players Cards Available. Golf outings up to 150 golfers welcome. Contact Troy Burne Golf Club at 715-381-9800 for more information and details on holding a golf outing at the course. We are here to help make your wedding a special day for everyone. 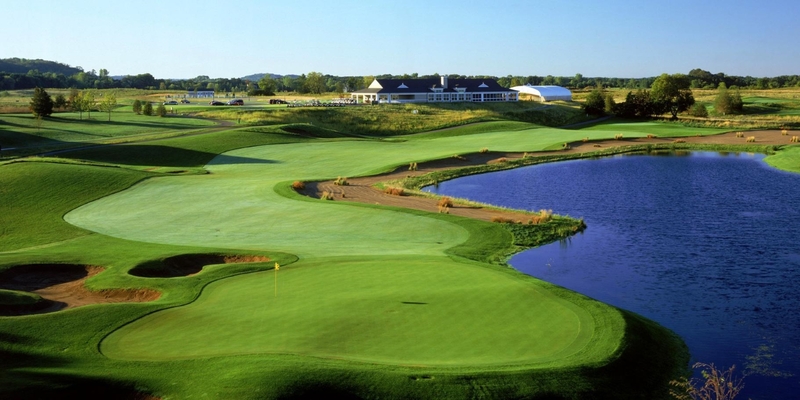 Troy Burne Golf Club is a signature PGA Champion, Tom Lehman, designed golf course. 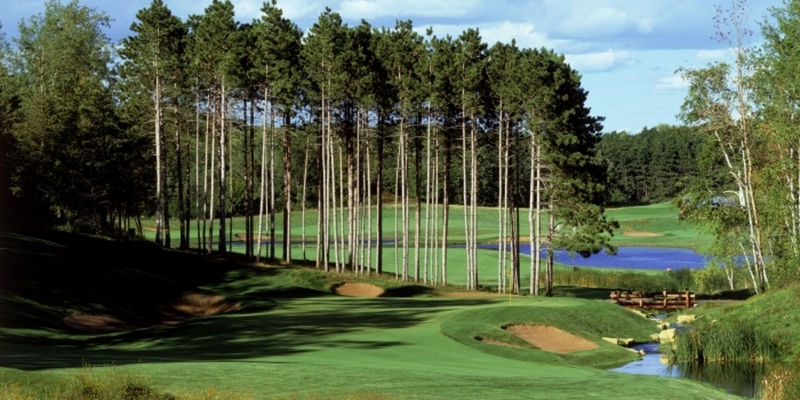 Our prestigious course has become known as one of the best golf courses in the Midwest and is most well known as the preferred golf course of the Minnesota Wild. 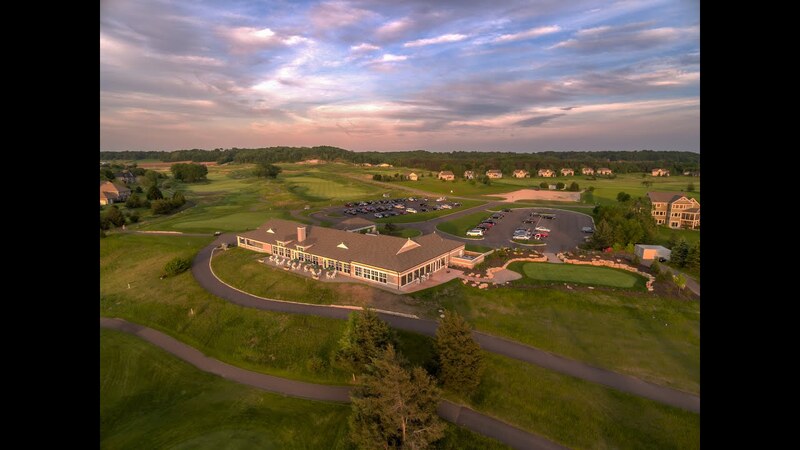 Signature features include our 120+ dramatic bunkers, scenic water features, meticulously maintained rolling bent grass fairways, and beautiful colonial style clubhouse. Our venue offers your guests the class and elegance of clubhouse decor. Our stunning event hall extends off of the restaurant and bar boasting 14' ceilings with nearly floor to ceiling panoramic windows. The welcoming clear view out to our luscious green golf course will leave your guest in awe. The event hall, which is bright and open in the daytime, is transformed in the evening when lit with romantic candlelight. Convenient and delicious in-house catering options are provided. From the cocktail hour, to the formal buffet style dinner and the dance, we have a full list of menu options to keep your guests satisfied for the entire evening. Also, contracted with Troy Burne Golf Club is River Valley Catering, named top caterer in the state of Wisconsin in 2014, for guests who prefer waiter-served plated dining for their wedding day. Don't forget about our newly constructed ceremony site laden with Troy Burne's flawless bent fairway grass. Enclosed with limestone boulders, colourful flowers, plants, and blossoming trees, the ceremony spot envelopes a romantic and secluded feel for your family and guests. Transition from the ceremony to the cocktail hour and reception is done with ease with our new stone patio, which includes a beautiful gas fire place, and wraps around the back of the ceremony site. Contact Troy Burne Golf Club at 715-381-9800. Contact Troy Burne Golf Club at 715-381-9800 for onsite or nearby dining options. Watch the Troy Burne Golf Club - Aerial Tour Video. Always in great shape and one of the best challenges around. A must play! This profile was last updated on 01/08/2018 and has been viewed 34,500 times.